The gear is out for the first of this year's big tidy ups. 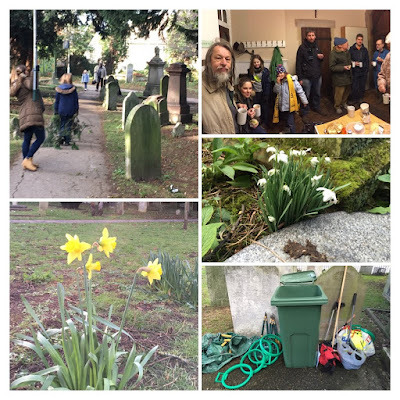 This morning we continued to cut back shrubs that have taken over areas of the churchyard. Our aim is to allow better access to the monuments, improve the general appearance of the churchyard and improve the sight-lines and sense of security for visitors. How can the distinctive character and heritage of Sutton be preserved for future generations? To address this challenge, Sutton Council, in partnership with Historic England, Successful Sutton Business Improvement District and Carshalton and District History and Archaeological Society (CADHAS), has formed the Sutton Heritage Action Zone (HAZ). The Sutton HAZ partnership unveiled two landmark reports at a public event held on 1 October at Sutton Baptist Church, a building recently awarded Grade II* listing by the Secretary of State. The Historic Area Assessment for Sutton Town Centre report and accompanying Gateway Document are authored by Locus Consulting. The report celebrates Sutton's rich and longstanding history, exemplified by the streets, buildings, spaces and people that have shaped its town centre. The legacy of Sutton's historical status as a significant highway, crossroads and stopping point between London, Brighton and the Banstead and Epsom Downs, remains the single most dominant feature within the townscape, while several characteristics have been inherited from Sutton's rural past. The report charts Sutton's transformation from a modest railway town into the main civic and administrative centre of the modern London Borough of Sutton. The report identifies opportunities for proactive conservation management and strategic planning to address changes to retail frontages and enhance Sutton's heritage. The research will assist planners, property owners, developers and the local community in shaping a sustainable future for Sutton town centre. The known and potential archaeological significance of Sutton town centre is described within the research report Early Sutton: to inform the present for the future undertaken by Oxford Archaeology. Members of CADHAS supported the project by carrying out research in the Sutton Archives and History Centre and a large part of the on-site assessment. The report covers a 3km radius around Sutton town centre. Volunteers surveyed the extent of pre-1800 structures within the Sutton HAZ boundary and identifed areas of previous ground disturbance and areas with the potential to contain surviving archaeological remains. Simon Latham, Assistant Director of Housing, Planning and Regeneration at Sutton Council, said: "The council welcomes the research reports as they will help to strengthen our position in protecting Sutton's heritage and encouraging a high quality development as part of the town centre regeneration. The council will be reviewing the opportunities identified in the report, including setting up a Design Review Panel. We look forward to working with the Sutton HAZ partners in realising our shared ambitions." David English, Historic Places Principal, Historic England said: "Sutton is London's first Heritage Action Zone and deservedly so. The town centre has a rich history. However, it faces many challenges and it is vital that Sutton's heritage plays a key role in informing how the centre continues to develop and thrive. 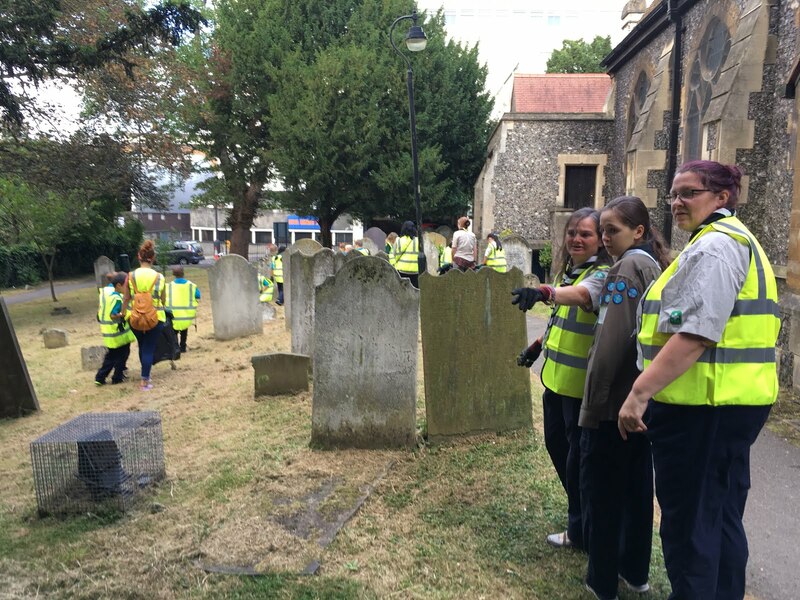 Both the Historic Area Assessment and the archaeology report contribute to understanding of Sutton's historic environment and will lead to better place-making." The Sutton HAZ partnership will see Historic England, London Borough of Sutton, Successful Sutton Business Improvement District (BID) and Carshalton and District History and Archaeological Society (CADHAS) work together over three years (2017-2020) to deliver a series of projects that will support local heritage to promote economic growth in Sutton Town Centre. It is part of the national initiative of Heritage Action Zones led by Historic England. "In memory of Isaac Littlebury, whose liberal education, travels abroad, skill in divers languages, knowledge of history and conversation with eminent men, rendered him a lover of public liberty and good order, which he endeavoured to promote by publishing several eminent books. He was, through the course of his life, just, open, modest, generous, mild, beneficent, frugal. He died the 30th of April 1710, in his 53d year." 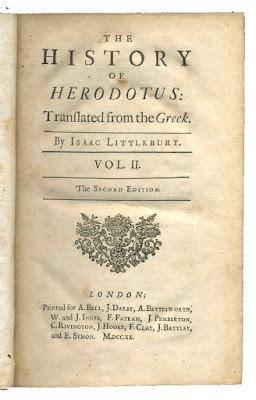 Isaac Littlebury is said to have been the son of "Mr. Thomas Littlebury, the famous bookseller in Little Britain, eminent for his skill in languages (fn. 9)." 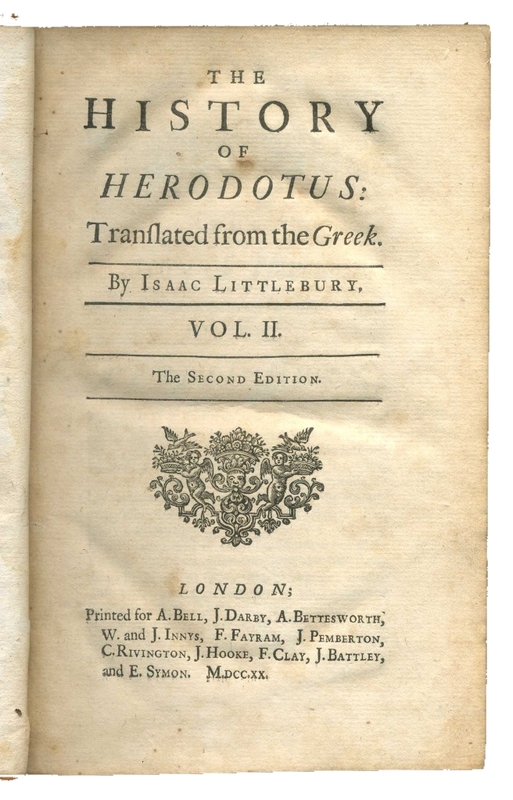 He is best known as the translator of Herodotus; what his other publications were I have not been able to learn, nor any thing further of his history. From: Daniel Lysons, 'Sutton', in The Environs of London: Volume 1, County of Surrey (London, 1792), pp. 492-496. British History Online http://www.british-history.ac.uk/london-environs/vol1/pp492-496 [accessed 10 September 2018]. 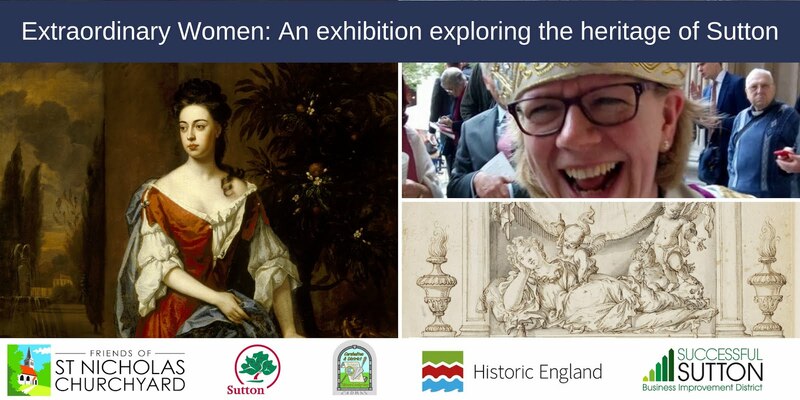 The exhibition will be supported by a series of short 30 minute illustrated talks on the theme of Extraordinary Women. The free exhibition "Extraordinary Women" will open at 10 am this Thursday 9th September 2018. The venue is St Nicholas Church, Sutton's historic town centre church. The exhibition marks the centenary of when women first gained the right to vote and has been organised by The Friends and St Nicholas Churchyard (in conjunction with St Nicholas Church). The exhibition has been enabled by event funding from the Heritage Action Zone. The exhibition and series of events will celebrate the lives of some of the Extraordinary Women who are connected with St Nicholas.